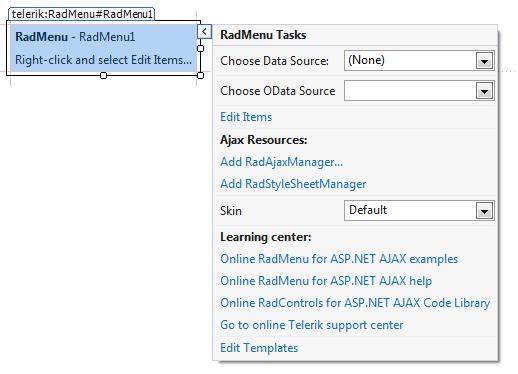 Use the RadMenu Item Editor to build a simple context menu. 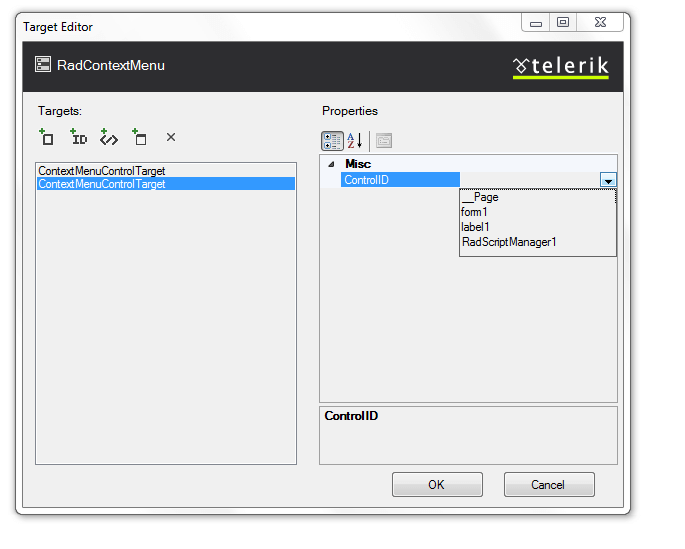 Use the Targets collection to attach the context menu to another control. 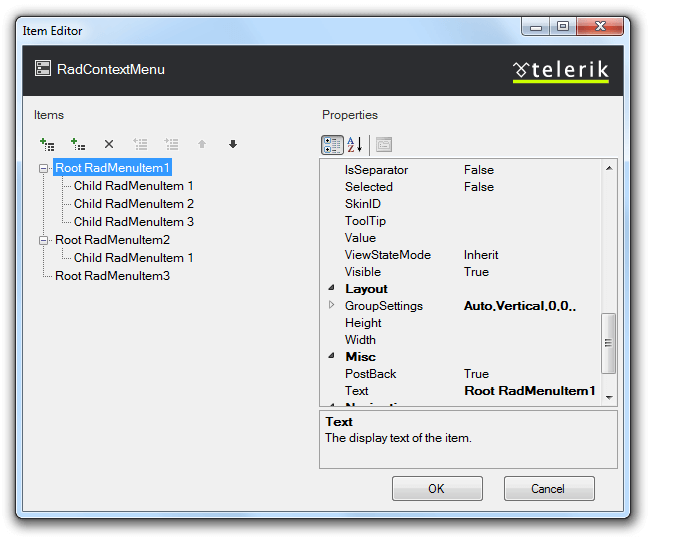 Click the Add root item button ( ) to add a root item to your menu. 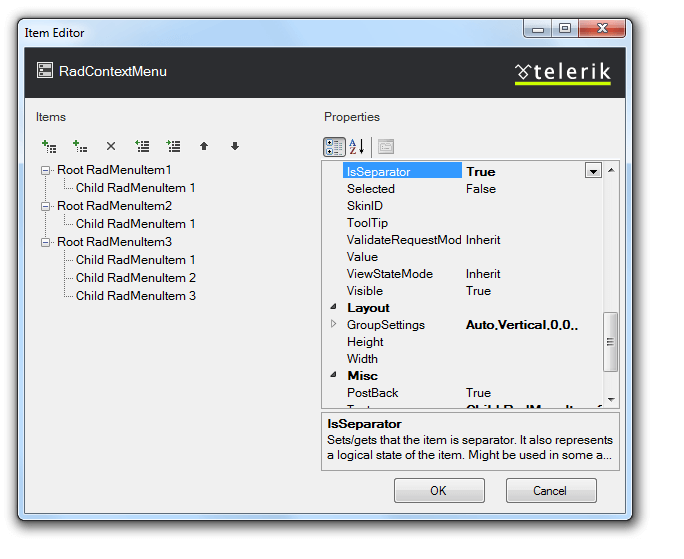 With the root item selected, click the Add child item button ( ) to add a child to your root item. 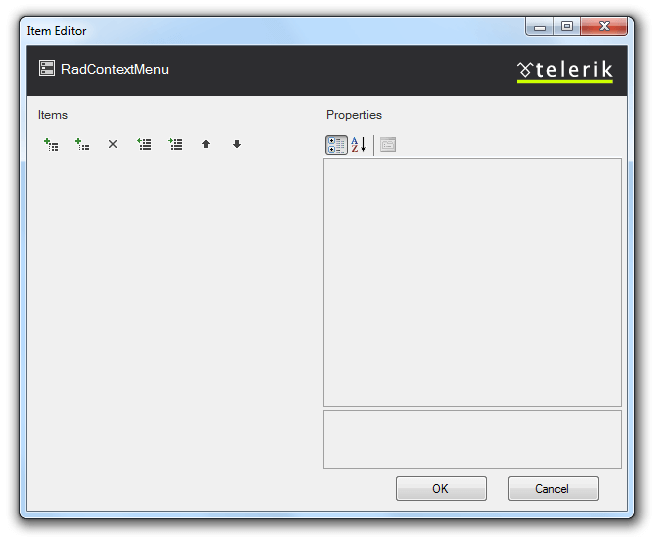 Right click on the RadContextMenu, and from its context menu, choose Properties. From the Standard area of the toolbox, drag a Label onto your page. Set its Text property to "Label1". 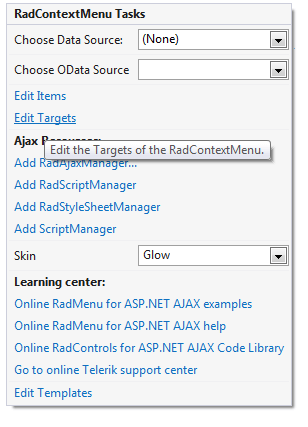 Move to the Source view of your Web page and locate the declaration of your RadContextMenu. 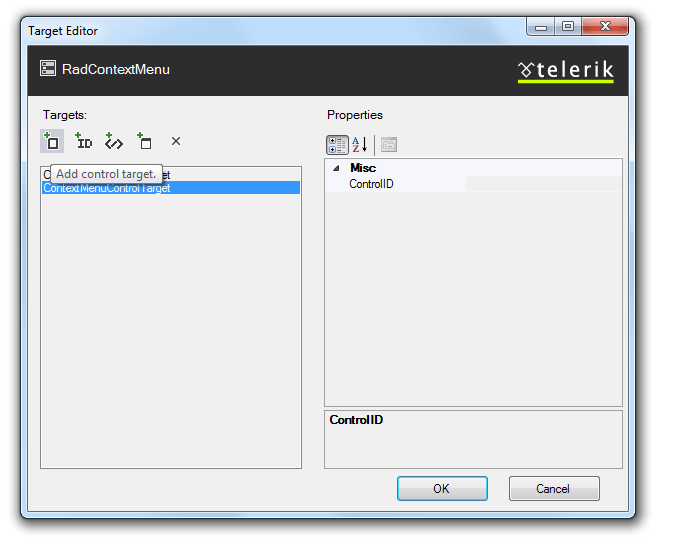 Select Edit Targets from the smart tag.